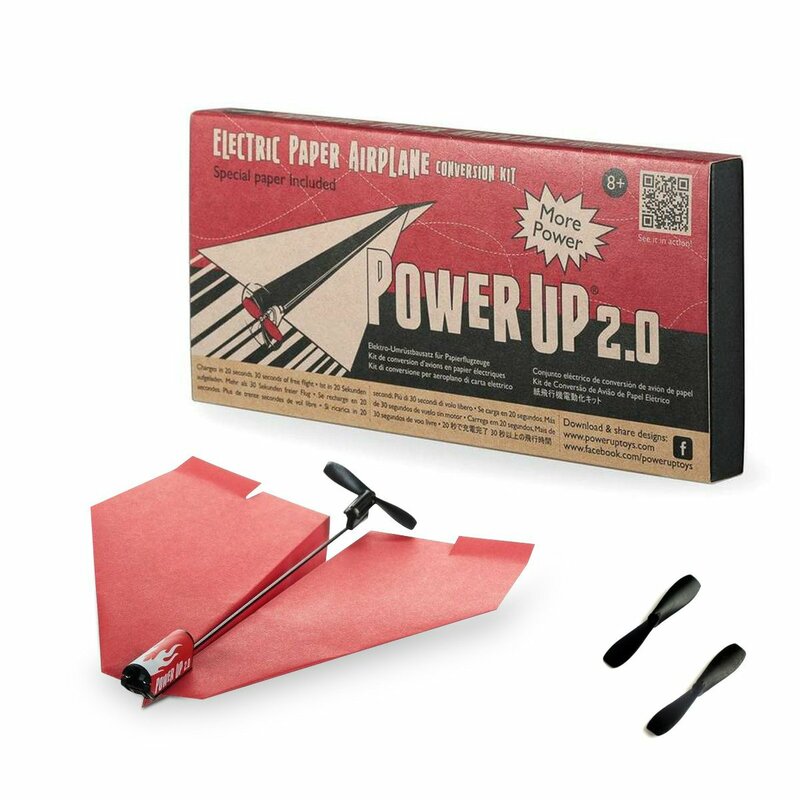 Give Your Paper Airplanes Power! 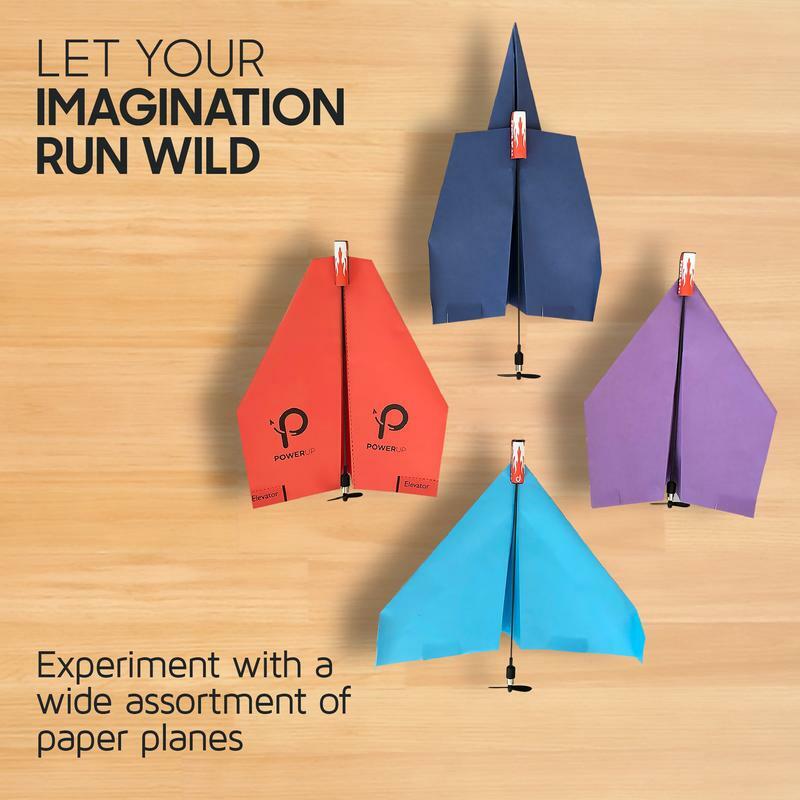 Power Up attaches to your own paper airplane creations, adds a propeller, and gives it powered flight for up to 30 seconds. 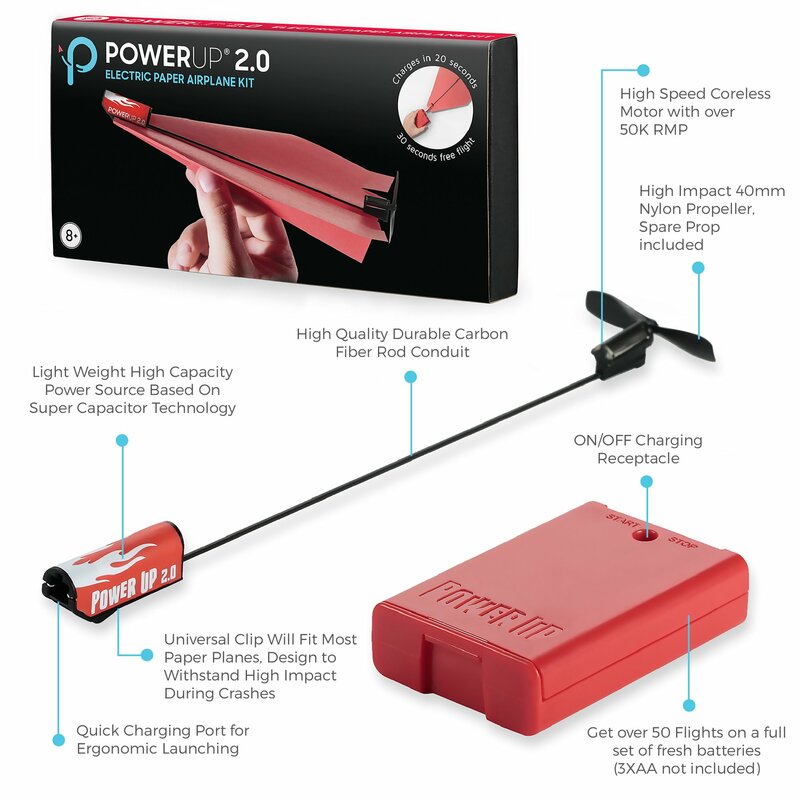 Recharge Power Up in just 20 seconds with the included charger and fly again. Try out different airplane designs or download designs to see how they work and make your own variations. Power up is also a great educational toy. 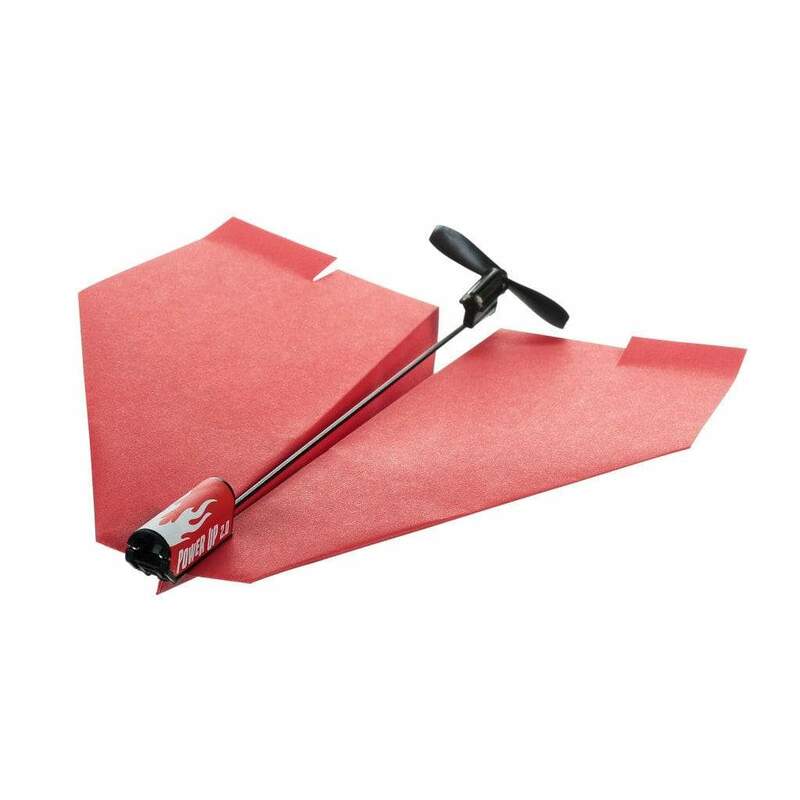 Utilizing all the components of STEM, it’s a great way to demonstrate principles of flight and aerodynamics. Comes with two sample designs that you can start with right away. Requires 3 AA batteries, not included.